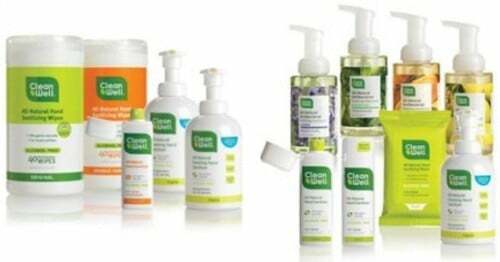 CleanWell Promo Code: Save 20% on all Kid-Safe, Eco-Friendly and Germ-Killing Cleaners! Cleanwell products are sanitizers, disinfectants and soaps that are made with an innovative ative ingredient that harnesses the natural antiseptic power of thyme. Thyme has been used as an antiseptic for thousands of years, and Cleanwell is utilizing it in their productss instead of harmful or questionable chemicals like triclosan, benzalkonium chloride and alcohol! Now through 12/23 you can use CleanWellToday.com promo code HOLIDAYAA to save 20% on your entire order! Shipping starts at just $4.